You need the right stimuli to go out and discover the new and unusual and inspiring in the world of flooring: And you’ll find them at the Innovations@DOMOTEX at the DOMOTEX trade fair from January 17-20, 2015 in Hanover. Innovations@DOMOTEX, curated by Stylepark in cooperation with Deutsche Messe AG, offers you a compact and eye-catching overview of the essentials of the key product innovations. 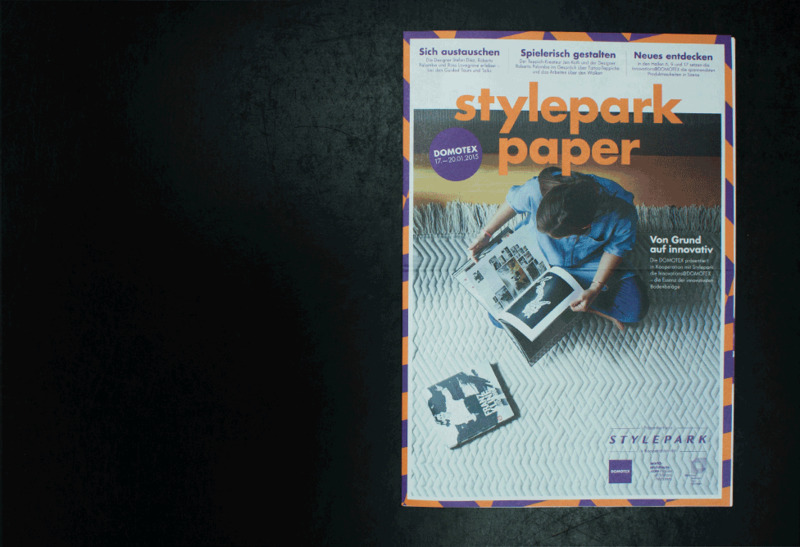 To give you a taste of what’s awaits you at Innovations@DOMOTEX we’ve compiled a series of insightful interviews and background reports for you in our “Stylepark Paper” – all about elastic floorings, carpet, parquet, and laminates, not to forget application and laying methods. So you can be sure not to miss any of the diversity of the latest and innovative floor coverings, and can find out all about their design and functional potential.